We will support all aspects of convention hosting and other events, including planning, development and coordination. We will provide support from the preparation stage all the way to post_convention. If you have questions, please don’t hesitate to contact us. Please advise us about the type of convention you are planning to host. We will introduce venues which suit your needs. We will support planning, development and coordination unique to Aomori so that you can host a better convention. 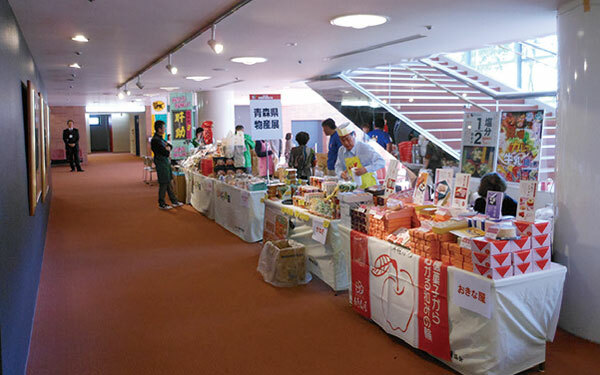 Grants from Aomori Prefecture and Aomori City are available. Please refer to page 43 for details. We will upload information regarding conventions in the “Aomori City Guide”, a website of the Aomori Tourism and Convention Association (a Public Interest Incorporated Association). In addition, we will assist with PR activities by approaching media such as TV and newspapers. We will introduce sightseeing courses to enable you to enjoy Aomori City’s attractions to the fullest. We will introduce related business operators such as printing companies, temporary employment agencies and event companies so that you can smoothly operate your convention. We will introduce accommodations where you can stay with comfort, such as Japanese style ryokan and business hotels. 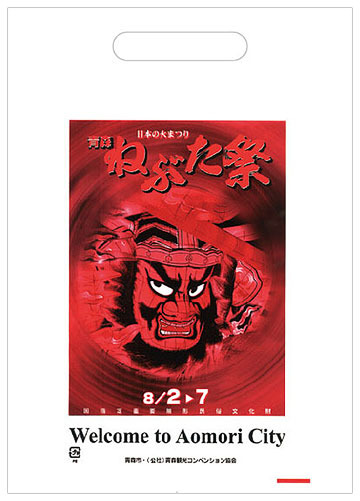 We can also introduce accommodations located outside Aomori City. 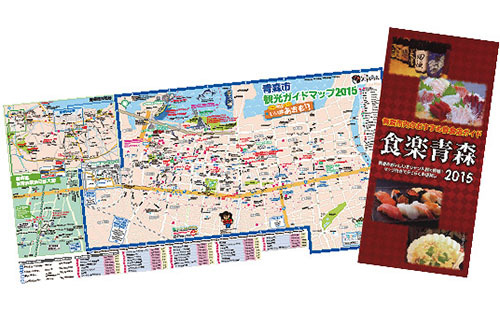 We will provide brochures useful for seeing the sights of Aomori City with information including a sightseeing map and a restaurant guide. 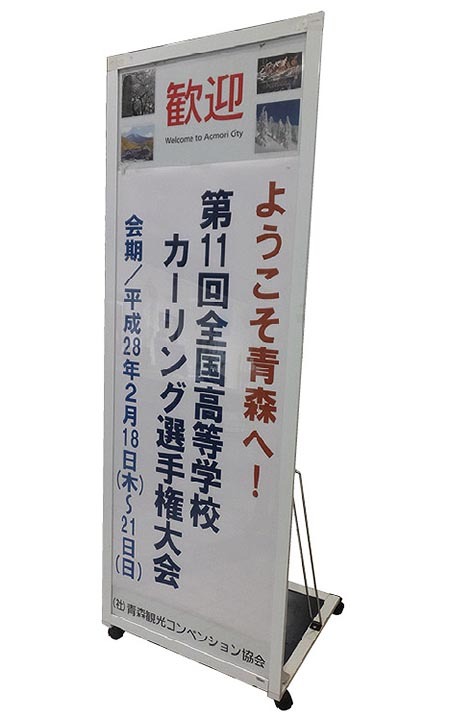 If more than 100 participants per day are expected from outside the prefecture, a welcome board (standing type) for the convention can be put up in three loca - tions: JR Aomori Station, JR Shin-Aomori Station and Aomori Airport. 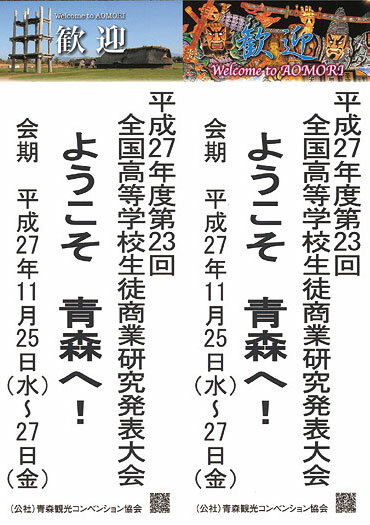 If more than 100 participants per day are expected from outside the prefecture, welcome posters (size will be B4 cut in half vertically) can be put up in approximately 100 locations around Aomori Station, mainly in the shopping district. *We offer paid services for making stickers with the convention title to be attached to the bags. We also will put convention materials into the bags. 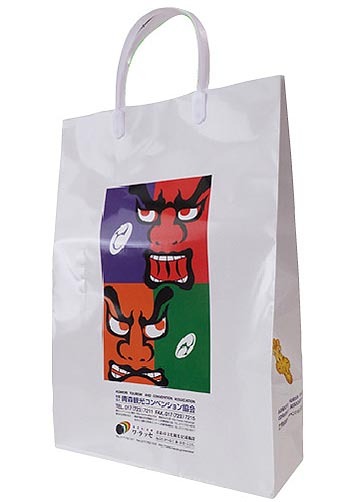 A size-A4 plastic bag fit for multiple purposes, such as keeping materials separate and carrying brochures. (please inquire for more details, including how many units are available).